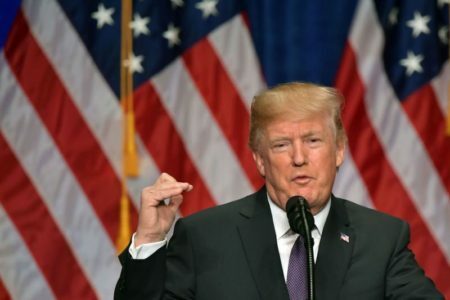 During the 2016 presidential campaign, Donald Trump presented a revised version of U.S. foreign policy that was a departure from the “New World Order” espoused by President George W. Bush and modified by President Obama. With the release of his National Security Strategy report this week, it is obvious that President Trump has a handle on “realism” and a belief – justified in my view – that the world is an increasingly dangerous place. In naming China and Russia as disruptive forces on the world stage, the president’s strategy notes that the two nations are rivals that must be challenged – but not necessarily enemies that must be defeated. That’s a distinction important for future tactics. The report identifies Iran and North Korea as rogue states clearly interested in regional destabilization. It also identifies transnational threats such as jihadists and cyber warriors. While these designations yield to the obvious, they also depart from the Obama narrative that the arc of history is moving inexorably toward stabilization. Since the Obama foreign policy mission was disengagement, President Obama underestimated the role unpleasant actors might play in the vacuum he left behind. President Trump’s newly stated national security strategy is a clear corrective to that misguided vision. He puts the threats we face in perspective, indicating his desire to marshal “our will and capabilities” to compete and prevent unfavorable shifts in various regions of the world. In the past, it was conventional wisdom to contend that China and Russia were invited into the global forums so that they would be tied down by a rules-based order. But this did not happen and was a further extension of Obama naiveté. President Trump recognizes the return of “great power competition” that belies ideological commitments. He embraces the view of former Secretary of State Henry Kissinger regarding a world of balance of power that relies on clearly viewed national interest. President Trump’s assessment of Russia demonstrates this point: “Russia aims to weaken U.S. influence in the world and divide us from our allies and partners.” So much for friendly rhetoric. Rather than hide behind the gilded belief that America is widely detested, the president is sending out the message the U.S. is an unequivocal defender of Western Civilization and has the inner strength to defeat the dark impulses of totalitarianism. President Trump is unquestionably a realist; yet there is a decidedly romantic dimension to his vision as well. His leap away from “perfection” to stability is one thing. On the other hand, the president wants to win because he believes in American principles. As a result, President Trump envisions our military prowess and economic muscle as offering distinct advantages. These conditions must be nurtured and cared for, but when competition emerges our side should prevail. America rose to the occasion when the Soviet Union launched Sputnik, believing at that time that our “edge” was lost. But we rose to new heights in our schools and factories. We accepted the challenge and in a decade we had reacquired our national confidence. That is the romantic side of the strategic story in this 68-page document that sets the stage for the Trump doctrine.